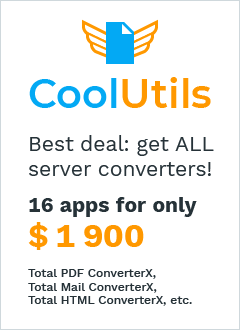 A Powerful Server Outlook Converter. 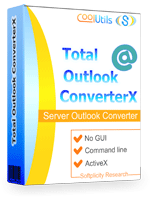 Total Outlook ConverterX is the most reliable software to convert Outlook emails to DOC (WORD), PDF, HTML, XHTML, TXT, TIFF, JPEG, EML in batch via command line. It does not have any graphic interface, your work will not interrupted by popups or any messages. 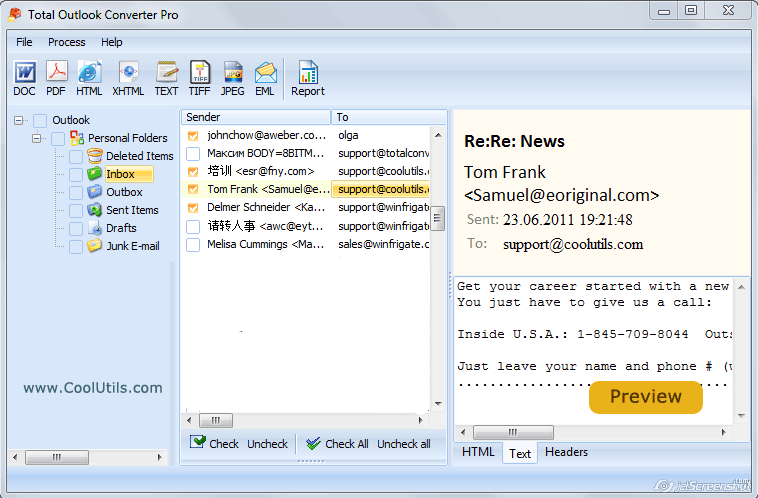 This is a great email converter to be installed on any Windows web-server. While you purchase one license per server, all your employees can use it to convert Outlook files. Total Outlook ConverterX supports both PST and OST files. Total Outlook Converter processes attachments as well. You can save them to the same or a new folder. 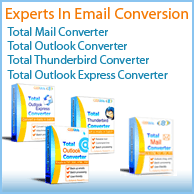 If you want to convert attachments to the target format of your email use Total Outlook Converter Pro. 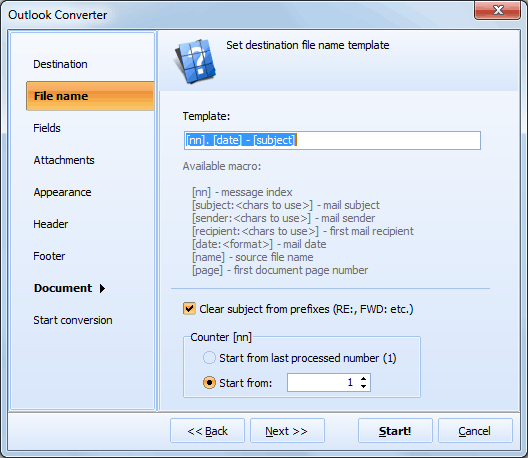 Total Outlook ConverterX can combine several emails into one multi-page PDF or TIFF file. The app will help you to stamp bates or insert your logo to the header and footer of each output page. Outlook converter offers plenty of options for output PDF files; users can encrypt them or add a digital signature. More..
Total Outlook Converter is a professional solution that still is good for beginners. The command line parameters are easy-to-follow. Download your free trial copy now and test it on your emails for 30 days. "Total Outlook Converter has recovered user's old OST data in a few minutes, we are highly satisfied with the product." You may convert convert each email into a new file or combine all emails into one file. Total Outlook ConverterX offers a handy file renamer. 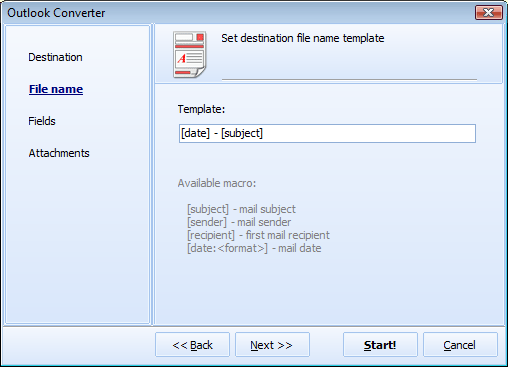 Rename output files using macros (email date, sender or recipient). You can add headers and footers like bates numbers, date, page number or your company's name to the output files. If you want to save time let the converter to skip the images from the emails that are located in the web. Total Outlook Converter supports several TIFF compression modes. So you can choose the size and quality of the resulting TIFF files. When you convert Outlook emails to PDF you can make the final file non-searchable.